The cities, beaches, waterfalls and Amazon wilds are larger than life, Powdery white sand beaches beckon sunbathers. Rio de Janeiro vibrates with the seductive samba and dizzying shopping, while the Iguazu Falls and lush rainforests cool the senses. 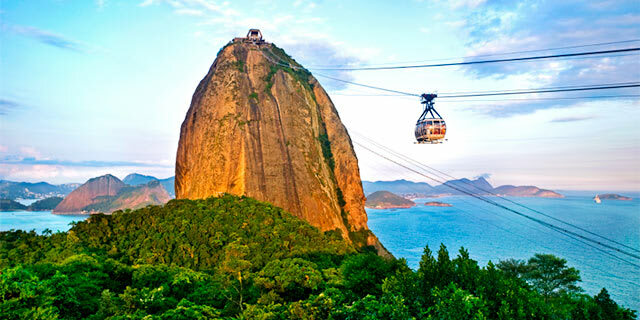 Let a discount Brazil tour package from Friendly Planet help you experience it all! Already booked on one of our packages to Brazil? See everything you need to know before you go. U.S. citizens must have a passport which is valid for at least 90 days from the time of entry, though we strongly recommend it be valid for at least six months after your return date. U.S. passport holders traveling to Brazil before June 17, 2019 must obtain an eVisa prior to entering Brazil. Applications for an eVisa must be submitted via the Brazilian Ministry of Foreign Affairs' eVisa portal or through a fee-based visa service such as our preferred provider VisaHQ. Effective June 17, 2019 the eVisa will no longer be required for U.S. citizens. See the U.S. Dept. of State website for more information. Booked on one of our packages with Scheduled Dates? If you hold a passport from another country, you are responsible for obtaining any necessary visas and meeting all entry requirements. Children under age 18 traveling alone, with one parent, or with a third party must have a notarized, written authorization from the absent parent or legal guardian. It must be translated into Portuguese and authenticated by a Brazilian embassy or consulate. In Brazil, March thru November are the best months in which to visit due to a drier climate. December through February are rainy, hot, and humid months. 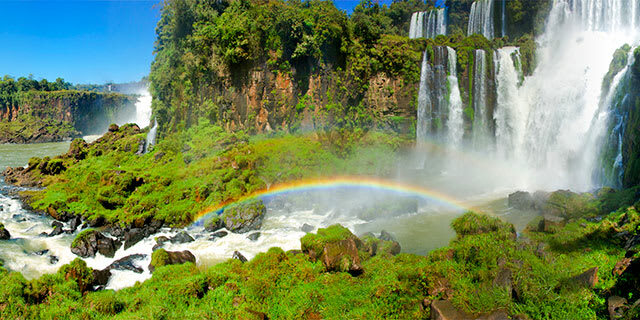 July through August are the best time to visit the Amazon, although the climate there is almost always humid and hot. A 10% service charge is usually included in the restaurant bill, but feel free to leave more. Tip a cabdriver no more than 10%. Tip the bellboy, the porter, or the concierge about R$1 per luggage item or for help given. Few ATMs provide cash from American Express cards. Travelers may be able to use debit cards in some ATMs located in the "Banco 24 horas" or "Banco do Brasil" (ATM's with Plus, Visa logo). Travelers are encouraged to contact their respective U.S. bank in advance to inquire about ATM fees. Visa is the most commonly accepted card. For safety reasons, use ATMs located inside banks or convenience stores. Brazil is famous for its leather goods and shoes. Other items unique to Brazil are coffee, gems, music traditional handcrafts, lace, embroidery, and artifacts from Brazil's indigenous tribes. 127/220 volts. Plugs C & N. You will probably need a voltage converter and plug adapter in order to use U.S. appliances. We recommend getting a universal adapter and converter kit. View more information about electrical standards around the world. Check out our blog for our latest articles on Brazil.